Ms Emele Duituturaga, Executive Director of the Pacific Islands Association of NGOs (PIANGO), called the Indonesian Government’s attack on remarks by Vanuatu’s Minister of Justice at the 34th UN Human Rights Council “an attempt to divert the international community’s attention away from the ongoing human rights violations taking place in West Papua”. Ms Duituturaga further reiterated that government oppression, such as arbitrary arrests and killings, are specifically targeting the indigenous minority population and that the closing off of the region to international human rights observers has led to severe societal repercussions, like a severe increase in illiteracy. Indonesia’s scathing attack on Vanuatu at the 34th UN Human Rights Council (UNHRC) session is an attempt to divert the international community’s attention away from the ongoing human rights violations taking place in West Papua. These sentiments were echoed by the Pacific Islands Association of NGOs (PIANGO) executive director, Emele Duituturaga after Indonesia criticised Vanuatu of ‘politicising the issue of West Papua for its domestic political purposes’ at the UNHRC in Geneva. “Indonesia’s reaction was quite telling of its unwillingness to respect and uphold the values of what it means to belong to the international community of nations – the UN,” she said. Ms Duituturaga said the Pacific Islands Coalition on West Papua (PICWP), of which PIANGO is a member, would not be requesting the UN to send special rapporteurs into West Papua if they didn’t have enough evidence to prove that West Papuans were suffering. “Indonesia plays an important role in Pacific stability and peace, their contribution to the region is widely known and appreciated. Pacific governments and civil society would not just as easily undermine such an important relationship. She said according to several human rights reports, the number of victims and cases of extra-judicial killings and torture in West Papua has not significantly reduced between 2012 and 2016. “The number of political arrests has exponentially increased over the last three years and all victims of torture and killings that our partners were able to find were indigenous Papuans,” said Ms Duituturaga. Ms Duituturaga said the systematic disempowerment of West Papuans is such that literacy rates in remote regions have dramatically decreased, with some villages registering literacy rates as low as 20 per cent. 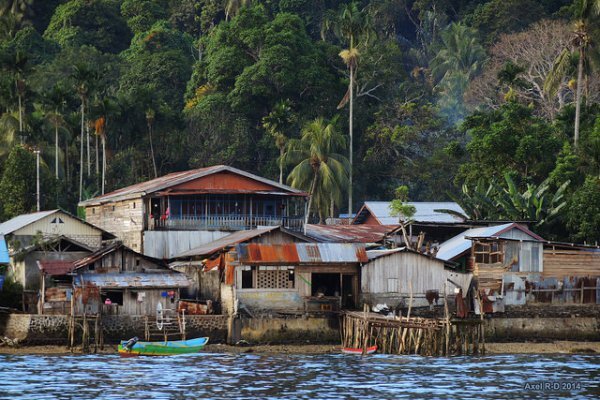 “Since 2007, Indonesia has not allowed any special procedures to visit West Papua. The region is largely closed for international human rights observers. Foreign journalists get either no access or are accompanied by intelligence, making independent fact finding impossible. Ms Tamata was one of the six panellists at the UNHRC side event jointly organised by the Permanent Mission of the Solomon Islands, state members and the Office of the Chair of PICWP called, ‘Shining the Light on the Human Rights Situation on West Papua’ on March 3. Other panellists included the Solomon Islands Special Envoy for West Papua, Rex Horoi, Parliamentary Secretary to the Vanuatu Prime Minister and Head of Desk for Decolonization Johnny George Koanapa, Jakarta-based Indonesian Human Rights Lawyer Veronica Koman, Executive Officer of Justice and Peace of Archdiocese of Brisbane, Australia, Peter Arndt and Peaceful Conflict Resolution Facilitator, West Papua, Octovianus Mote. The discussions were moderated by Vanuatu Ambassador to EU, Roy Micky Joy.